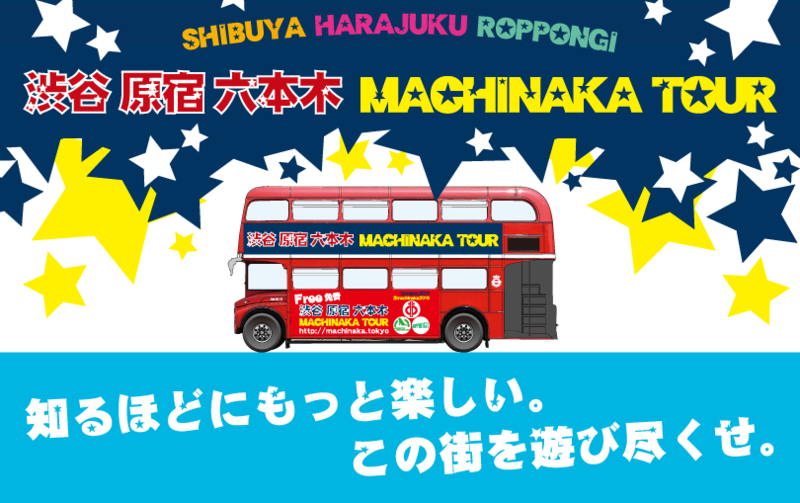 Welcome to the SHIBUYA HARAJUKU ROPPONGI Machinaka Tour! This event was created to provide you with the latest information on Shibuya,Harajuku-Omotesando, and Roppongi, while also introducing lesser-known attractions and specialties of these areas. These districts are already known for their trends and innovations, so in order to help you enjoy and experience these aspects to the fullest, we created this London-style 2-story bus tour. There are fun spots to enjoy shown on the maps of the shopping districts, as well as a "Special Bus Tour". All events are free of admission, so feel free to hop on and join the tour! And remember to share all your fun-filled photos online on SNS too!